It is a rainy and cold Halloween where I live. If you are the type to stay in on nights like these you can be entertained by my favorite online, creepy stories. Have a spooky night! This is probably my favorite creepy story at the moment. I love the "science gone wrong" type of story when something weirdly paranormal happens rather than just a monster story. I could see this really happening. A guy and his friend write down their discussions with an Ouija board and it take you to another dimension instead of just ghosts and demons. This one gets seriously weird in the comments. I don't know why, but the weird images and analyzing added to this story in a special way. Here is a timeline of the comments because I don't think anyone wants to dig through 5 thousand of them. 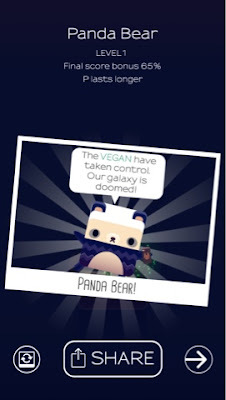 Alphabear is genius. I love word games but most of the time the graphics are not appealing so I don't click on them often. Alphabears are so cute that I decided to play the game before I even knew what it was about. 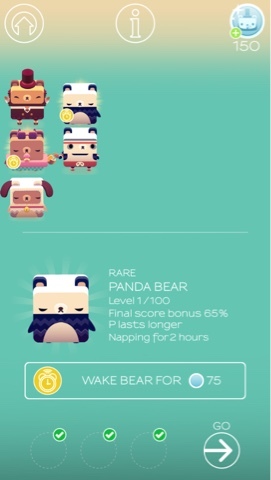 I am a sucker for adorable graphics and Alphabears look like domo teddy bears. If they ever sell blind pack figures I would totally try to collect them all. Way too cute! In the most basic terms, Alphabear is a word game in which you have to spell words with the letters provided. Each letter tile has a value like Scrabble but the values of each letter change. Alphabears occupy all spaces that are opened when you use the tile to spell a word. If a space adjacent to an alphabear becomes open then that bear will grow. The bigger the bear at the end of the round, the more points the bear is worth. Every turn that you don't use a letter it goes down in value. Once a tile reaches 1 it will turn red and begin to wiggle. If you don't use it during that turn the tile loses its value and becomes a rock and the Alphabears cannot grow past it. When you finish a game and reach enough point you unlock a new bear. There are so many adorable bears some with costumes on and some without. My favorite so far is the panda, because pandas are the best. There are 95 bears total and you can level up each bear. Lots to unlock! Each bear has a different time that they need to nap between rounds and it costs honey to play each game. When you run out of honey you can either wait for some more or but it with real cash. It is annoying but the app developers surely deserve to get paid and that is one way to earn $$$. This timer is one of the more restricting ones that I have come across but the wait time is tolerable. There isn't much to do when you can't play rounds. It'd be fun to be able to upgrade the bears habitat or hangout space while they are napping. That would make me stick around a little longer. 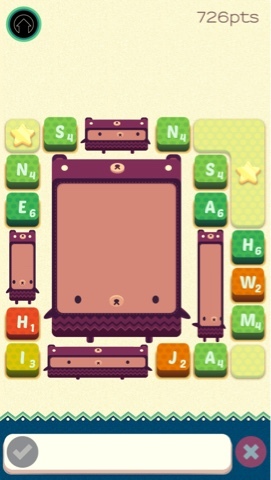 Playaholic has a user guide for Alphabear which you can find here. If you are also a gamer here are the links to a few other games I've reviewed: The Impossible Quiz and Adventure Time Munchkin. There will definitely be more to come because gaming is one of my favorite de-stressors. Any recommendations? 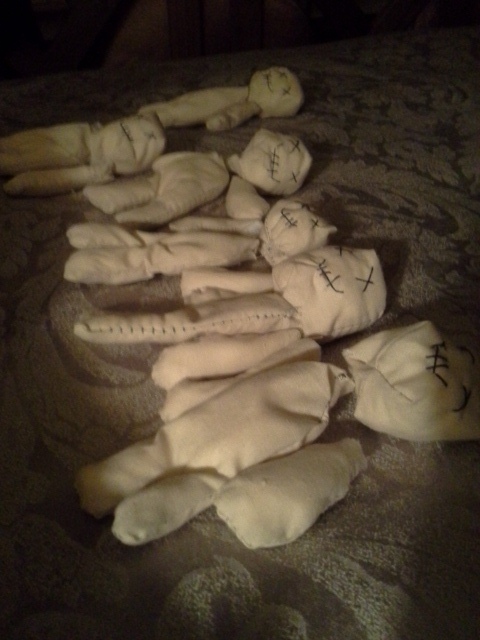 I sewed up some voodoo dolls to give as gifts. Turns out everyone wants a voodoo doll to call their own. I like to use the one I kept for myself as a pin cushion. I mean a real pin cushion - for sewing. Man, I feel bad if anyone is connected to that doll. Here is the pattern I made up. The big piece is the head, the medium piece is the body (x2), and the small piece is the arms (x4)). Sewing the head is the hardest part because the seams are so small. I sewed through my finger while doing one of the heads. I think that doll is cursed. It wasn't that bad - only hurt for a day or so. Anyway, it is easiest to sew straight across on the heads and leave one of the four seams open to stuff and the hand sew later. You can even make it faster if you leave the bottom of the head and the top of the torso open and then just sew them together after you are done stuffing. Leaving the arms open at the top is also the faster option, which I obviously hadn't leaned yet when I took this picture. I used a chop-stick to push the stuffing in. 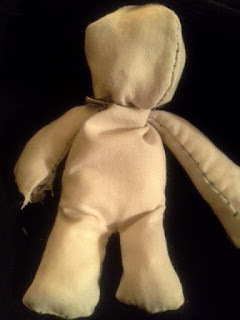 Then I took some black thread and sewed little X's for eyes and a cross-hatched line for a mouth. I used three stitches for the mouth line, so they look more smiley. 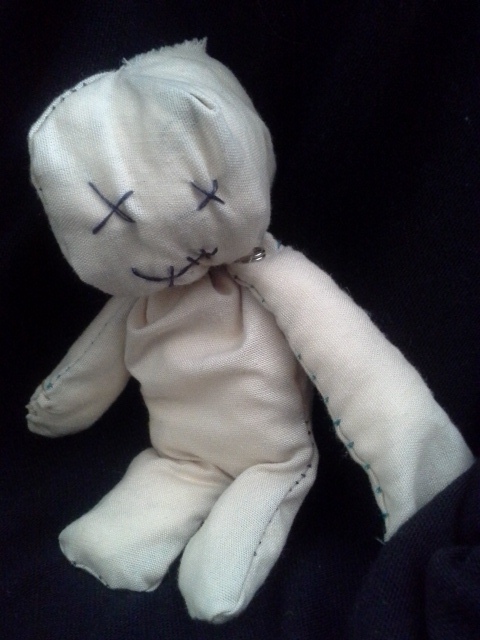 Now you can make your very own voodoo doll. Who wants to inflict some majik pain? It's finally Fall where pumpkin reigns supreme from food to fashion to furniture. I am still so happy about it, especially when it comes to decor. 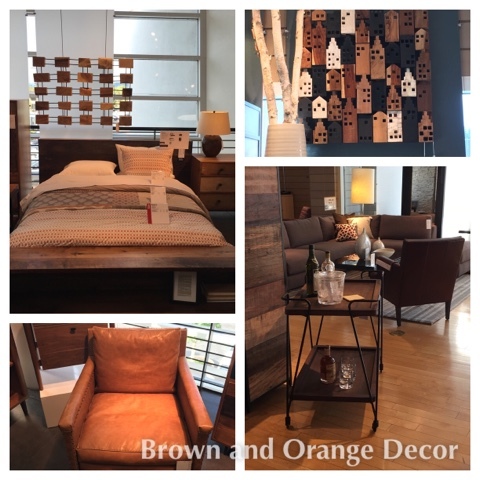 Shades of brown and orange add instant coziness to any room, perfect for chilly mornings. It's nice to have a break from the scorching, and somewhat frightening, El Niño summer - especially when you have a gorgeous safe haven to return to. 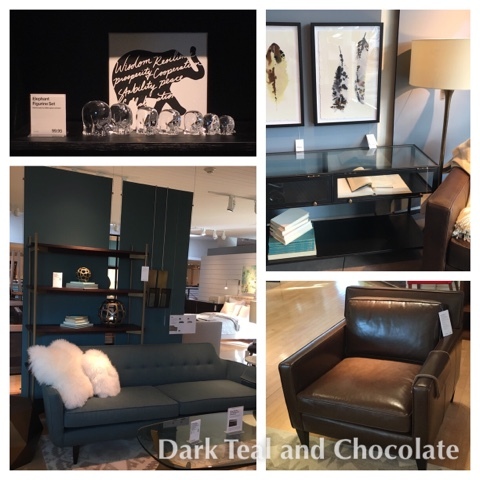 Crate and Barrel has some beautiful Fall furnishings this year and they are entirely enviting. I am totally tempted to splurge on a few pieces myself but my apartment is at max capacity at the moment so I'll have to hold off. Here are some gorgeous ways to celebrate the season In your home while remaining extra classy. The pumpkin colored leather chair looks so rich next to the natural woods. I love the varied wood trend. Just when I thought that I finally got over teal I discovered dark teal. The dark teal accent walls and sofa are just perfect, especially when paired with chocolate accents and fluffy white pillows. It is officially my new favorite color. Most shoe soles are so boring. Shoes that are not athletic or used in slippery conditions should have nifty treads on the soles. I drew a few treads that I thought would be more interesting than the usual lines, triangles, and rectangles. 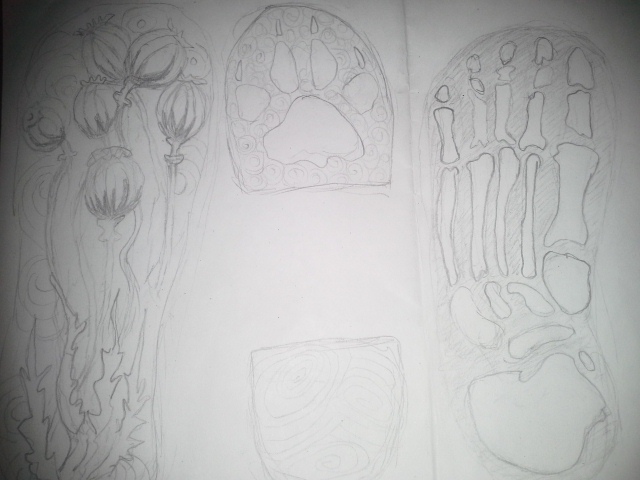 I added some circles and spirals because I read that they are the best shape to shed water and make soles less slick. I may try and make some for a pair of old shoes. I have no idea what my eyebrows look like. Not long ago I had an epiphany. I realized that I have no idea what my eyebrows actually look like. I had been trying to grow them out for awhile but I was afraid of wayward strays sticking out in random directions. When bushier eyebrows started to become trendy I figured that I should go ahead and try to grow mine as well but I was honestly terrified. I feel like I am one of the people in this world that is blessed/cursed with a ton of eyebrow hair. I wonder how many people actually have way more eyebrow hair than they allow? 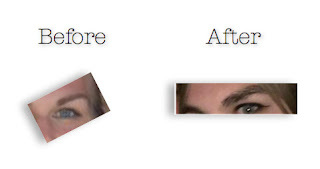 When my life became a bit busier I discovered that my eyebrows actually have their own shape if I let them grow. I am still not entirely sure what that shape is but it has been a rather fascinating process. 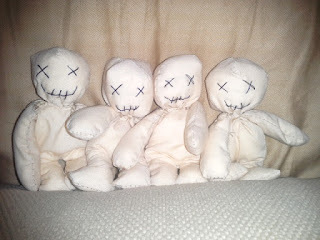 I will tame them a bit once I figure it out but for now I am just letting them go. As young as 8 years old I began borrowing my Mom's tweezers to make my eyebrows look how I wanted. I wanted pencil thin eyebrows like Christina Aguilera. I felt like a hairy freak. Little did I know that it was the beginning of a lifelong eyebrow shape experimentation journey. One that I was never very sure of. When I got married my makeup artist/ friend told me that I should grow my brows out. She mentioned that I have lovely arches and felt that my eyebrows would look stunning if I let them grow a bit. I am sure that she didn't want me to stop tweezing them entirely but that is what I am working towards now. I seriously want to know what they will look like if they remain untouched. I am finally curious enough that I will bear through any potential strangeness along the way. I imagine that growing out your brows feels a lot like growing out your armpit hair. It is a wild feeling. I feel like I am wandering back to my Scandinavian roots. I imagine that Vikings had big eyebrows too; I can't imagine that they would shave or tweeze them. For the most part I have been absolutely loving it. I have found that my eyebrows actually behave better when I let them grow out. The hairs stick together instead of sticking straight out for the most part. I don't need to line them because they are substantial enough on their own. I am starting to wonder what I was so scared about in the first place. So far no one has said, "My, what big eyebrows you have!" Apparently it is much less distracting than that time when I chopped off all my hair. 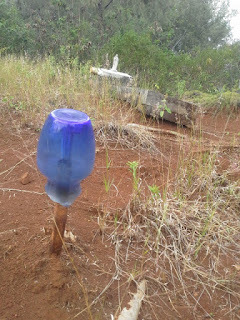 Never make your first terrarium in a bottle with a skinny neck. Most people probably realize this, but I didn't. It was difficult - like building a ship in a bottle, but less complicated. I had collected some safety glass from a broken bus stop, so I used it for the pebbles in the bottom. The nifty clear effect was a little ruined by the charcoal, but it still looks mysterious. I'm gonna leave out the part where I tried to put mesh between the glass and the soil. There was no way to make it lay flat. I learned after that you don't really need the activated charcoal. I'm pretty sure I used the wrong kind, anyway. I think, if you use it, you are supposed to use the chunks and not the powder. I chose this bottle because it had a cool lid, little handles, and it says "KRAKEN" on the side. I did not think about how horrible the tiny neck would be. I made this to out of wire and chopsticks to help position the moss. I also used my man's super sized kitchen tweezers. I had to break the moss in chunks to make it fit through the tiny hole in the bottle. It was the worst when a piece fell in upside-down. I made a big mess inside and outside the bottle. I had to make this cleaning tool out of thick wire and a cotton ball to get the dirt off the inside. The curve is so steep that it is almost impossible to reach. It took me forever to figure out how to remove the neck piece. I tried wire cutters, pencils, wrenches, but in the end it was a fork that worked. It tore really easy once I figured out something that fit under it. I made some tentacles out of Sculpey III, put them on toothpicks, and stuck them in with the giant tweezers. 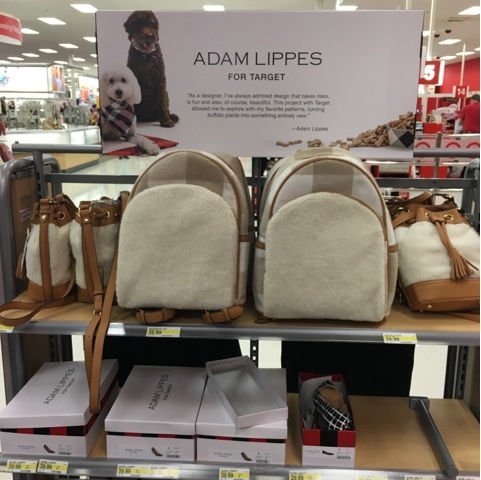 Adam Lippes for Target is still here! 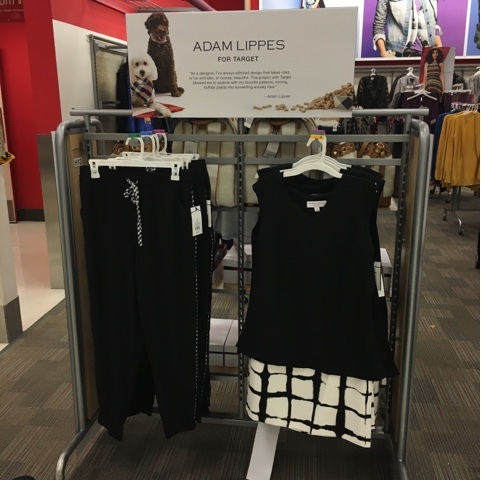 Adam Lippes for Target launched September 27th. 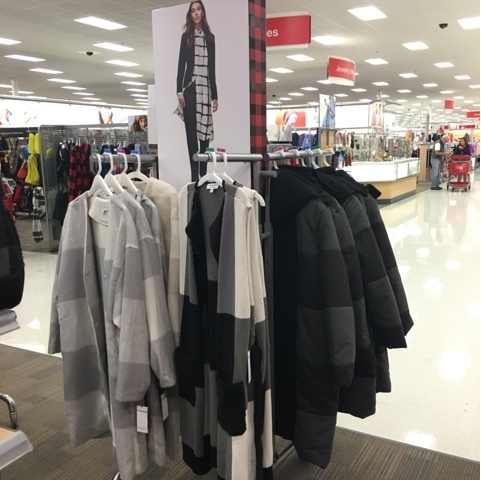 My store still has some pieces left and so does target.com! 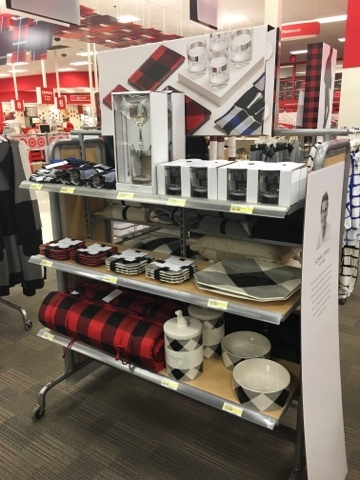 I love the plaid but didn't find anything that I really need to have. Good for me though because Black Friday is right around the corner and I need to start saving. 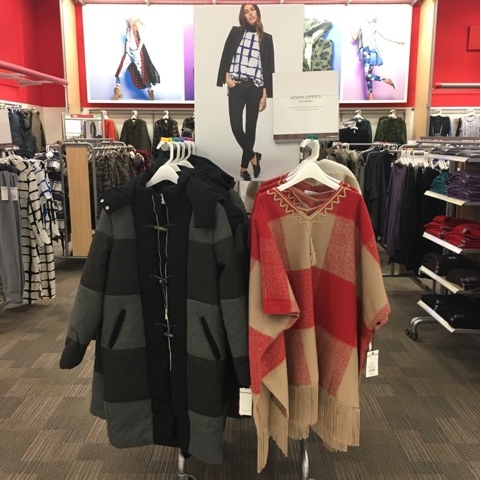 I think these jackets are so cool but they definitely do not flatter my curves. If I had a different body type I'd rock them though. I wish these bags were real shearling, that would be awesome! I usually don't buy faux leather anymore but the backpack is dope. So cute I just worry that they would hurt my feet. 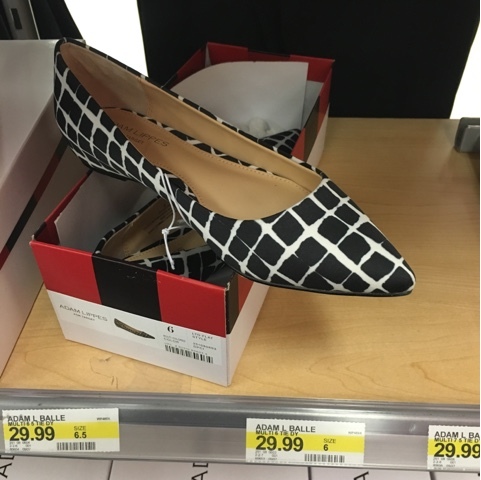 Anyone else find that cheap flats are just as painful as pointy heels? The melamine tray set on the top shelf here is seriously tempting. It would be so cute for Serving Christmas cookies and appetizers! I'm just not sure about melamine. The sleeveless sweater here is really cute but I'm not a fan of the flaps. The big square plaid serving plate is really neat, but I am not sure what to use it for since its bumpy. Kind of a weird serving surface. This dog treat canister is so cute that I seriously thought about buying it to use for a cookie jar. 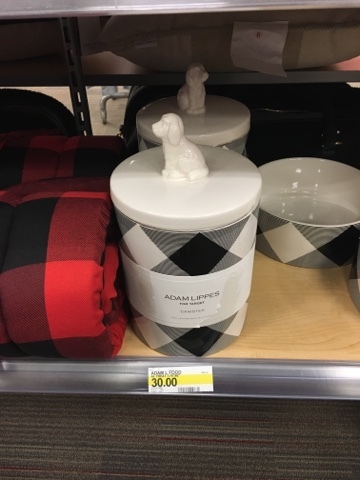 The red plaid next to it is actually a pet bed. 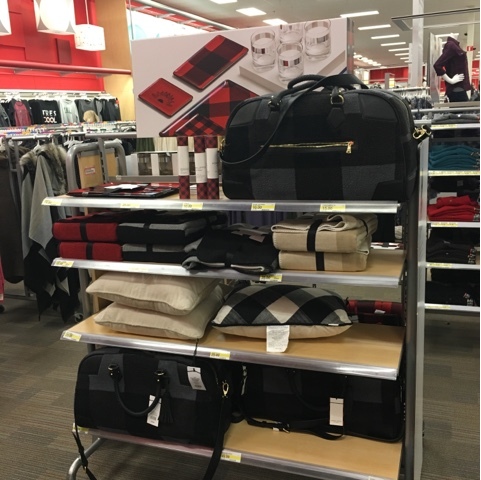 Perfect to match Christmas decor! I almost bought this sweater but then decided that it was too frumpy. The sleeves are so long which I normally like but it was a bit much. Then I found out that it is a men's sweater so it makes sense that it was extra giant haha. 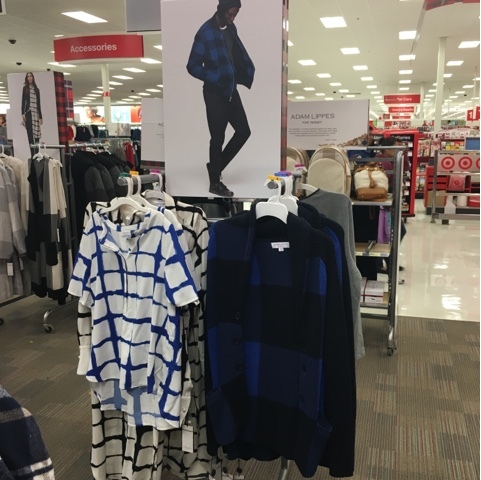 I didn't get anything but I may go back and try the dress and the blue plaid blouse on. I love them but I have no idea what they will look like on me since they are so boxy. Could be super cute or just awful. Hope that your week is going well! There is this one shop by my house that sells artfully tattered pieces of clothing for outrageous prices. I like to see their window displays and have wondered if I could pull of the dystopian look. I had always wanted a black v-neck, but this one never fit very well. I decided it was time to experiment! I learned that the process of distressing a shirt into a lacy cobweb takes ages - almost 2 full days. I now understand why the stuff in that shop is so expensive. I'm really not looking forward to hand-washing this thing, otherwise I love it. It is super comfy.